Experience stunning 360° views of London inside your very own private capsule, on the world famous Coca-Cola London Eye. Experiences include priority boarding, a complimentary mini guide, a 30-minute rotation and entry to the Coca-Cola London Eye 4D Cinema experience. You can enhance your London Eye experience with a choice of additional food and drink packages inside these private capsules. We also have options to choose tailor-made experiences along with adding an extra rotation or a personal guide to accompany you. Book a London Eye capsule for the perfect way to savour the wonders of the capital’s iconic skyline with friends and family. Hiring a private capsule gives you exclusive use for a 30-minute rotation as you enjoy 360° views of London in one of the 32 capsules. This totally exclusive experience costs £695 + VAT per capsule. Why don’t you book your own private London Eye capsule now? 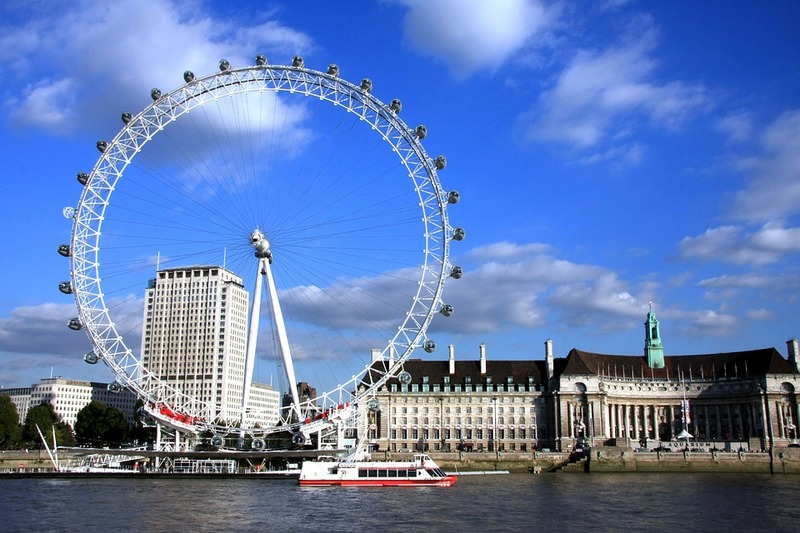 Create your own unique and personal London Eye experience on London’s most iconic landmark by combining private capsule hire with a selection of food and drinks. Please contact us to discuss booking this totally exclusive experience. Your very own private cupids capsule! The London Eye Cupids Capsule is the perfect romantic gesture for that someone special in your life. With your own private host serving Pommery Brut Royal Champagne accompanied with a luxury box of Hotel Chocolate Pink Champagne Truffles whilst you enjoy the romantic views of London from your private London Eye pod. This totally exclusive experience costs £525 + VAT per capsule. For a romantic night to remember, book your London Eye Cupids Capsule today. A spectacular, unusual wedding venue. The Coca-Cola London Eye tops all other unique wedding venues in being the most unusual wedding venue in London to make your wedding day totally unique and spectacular. What could be more memorable than taking your vows 135 metres up above the capital with your friends and family? Imagine what an incredible backdrop those spectacular views of the London skyline would make for your wedding photos. Our expert wedding planner takes care of everything, so all you have to do is savour every minute of your memorable day. You willl get two rotations in your own private flower-decorated capsule. The first includes the ceremony and signing of the register followed by chilled Pommery Brut Royal Champagne so you can relax and celebrate during the second rotation. We have a whole team of wedding event planners ready to discuss the ingredients for your special day at one of the most unique wedding venues in London, so do get in touch. With our portfolio of unusual wedding venues in London we can offer wedding venues at London’s premier attractions. With a choice of SEA LIFE London Aquarium, London Dungeon or Shrek’s Adventure London, you could have your wedding reception at any of these venues on London’s Southbank.